AFL Chief Executive, Gillon McLachlan, visited Queensland today as the Lions and SUNS prepare themselves for the upcoming 2019 Toyota premiership season. 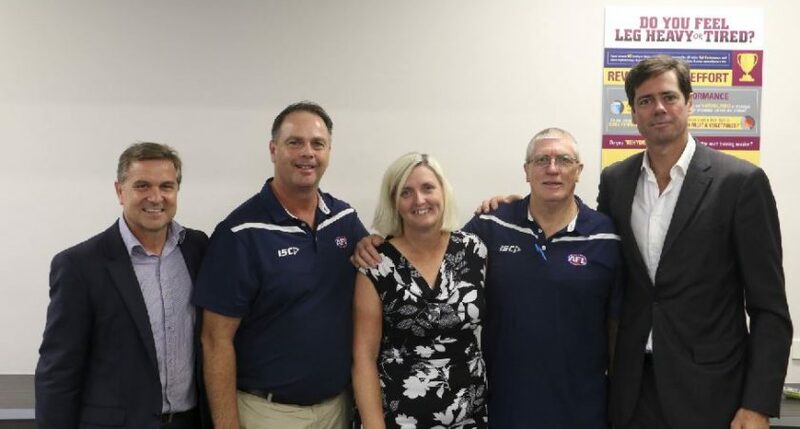 Mr McLachlan visited AFL Queensland in Yeronga where he acknowledged the contribution of three staff celebrating significant milestones in the AFL Industry. During his visit the AFL Chief Executive opened the floor to staff to ask questions on the state of the game. “Along with the Suns and Lions, AFL Queensland do the hard work of pushing our game in this very competitive sporting state,” he said. “We know we are in a battle for hearts and minds here in the north. 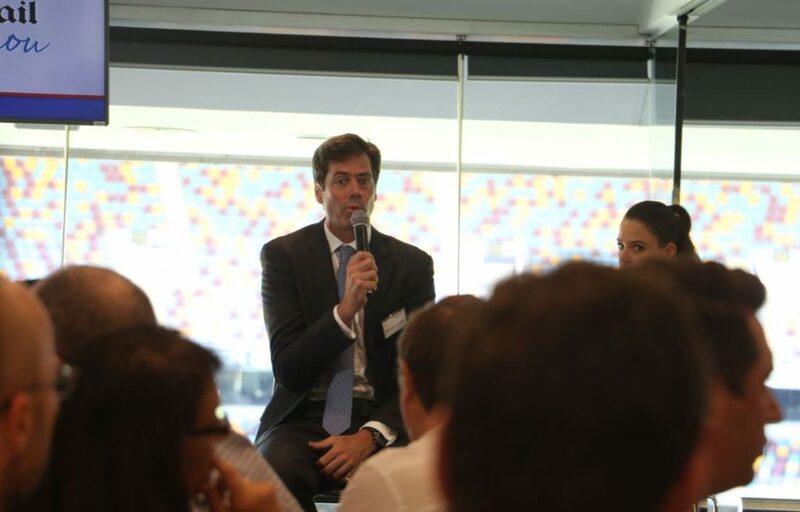 Following the meeting Mr McLachlan attended the AFL Queensland Season Launch Lunch at the Gabba, where during his address he extended his sympathies to the friends and families of the victims of the shooting in Christchurch last Friday. “We assure the Muslim community here is Australia that we at the AFL stand with you,” he said. “In our code, and I know in every code and sport in our country, you are welcome and celebrated and an incredibly important part of our social fabric. Mr McLachlan went on to express his excitement for the year ahead for Queensland AFL fans. “The new Lions football department of Chris Fagan and David Noble have filled the boys with belief and passion, and I love watching Luke Hodge play his role on the field,” he said. He went on to share his anticipation of the SUNS year ahead, in particular the stability and strength coming together under the leadership of Stuart Dew. “Stuey is a much-loved figure in our game and I can’t wait to see what he brings in his second year as Senior Coach. During his address the AFL Chief Executive praised the efforts of Queensland Clubs and the team at AFL Queensland in growing the game. “More people are playing and participating in our game that ever before,” he said. “Our community club network is growing and our Auskick participation is up. The role Queensland has played in the growth of the women’s game was noted. “And while some may say this is a non-traditional AFL state, this is not quite the whole picture,” Mr McLachlan said. “Because Queensland can claim a significant slice of history of the women’s game, in fact I think we can call Queensland a traditional AFLW state. Mr McLachlan will continue his travel to NSW tomorrow to attend their season launch function in Sydney.